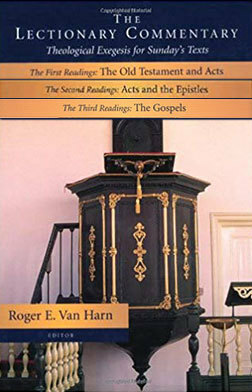 The three-volume Lectionary Commentary gathers exegetical essays on 513 biblical texts from the Revised Common Lectionary spanning the three-year liturgical cycle. Seventy-eight pastors, priests, and teachers from a variety of Christian traditions have contributed exegetical insights on the First, Second, and Gospel lections for the Sundays of the church year and for Christmas Day, Epiphany, and Ascension Day. Preachers who follow the Revised Common Lectionary will find these volumes useful. However, the commentary's unique organization makes it useful to all preachers. While the three volumes are organized according to the First, Second, and Gospel lections for each Sunday, The Lectionary Commentary lists all texts in their canonical order. This arrangement affirms the lectionary by identifying each reading according to its traditional place in the three-year cycle, but it also lends itself to other preaching patterns. Whether used traditionally or thematically, volume by volume or as a set, The Lectionary Commentary will be an invaluable aid to those commissioned to preach the gospel from biblical texts for the congregations they serve.